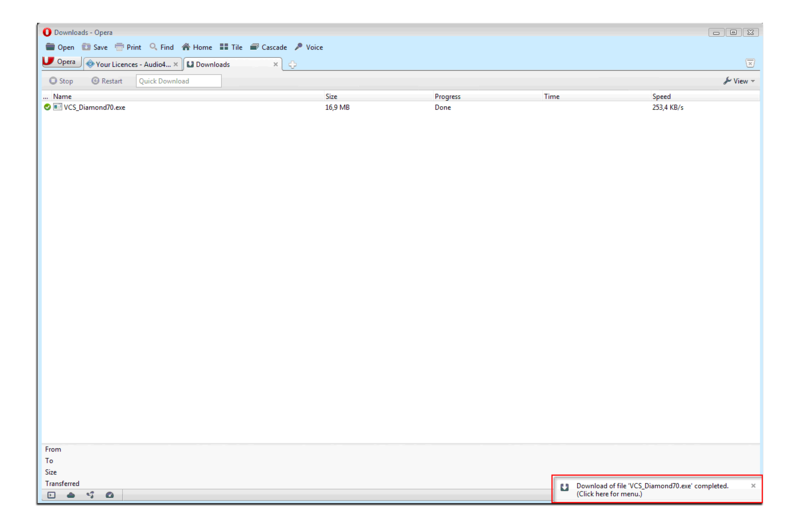 Could not open Installation Logs file? 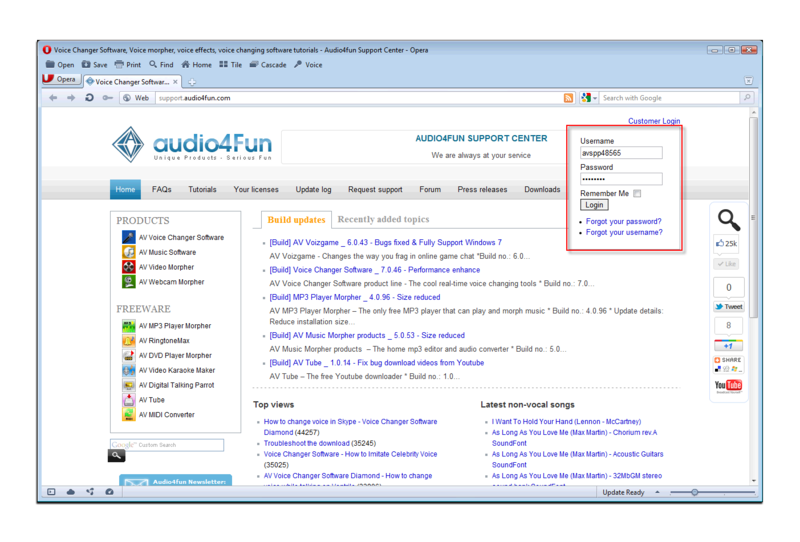 This tutorial is a step-by-step instruction on how to download the AVSoft software on Opera browser. 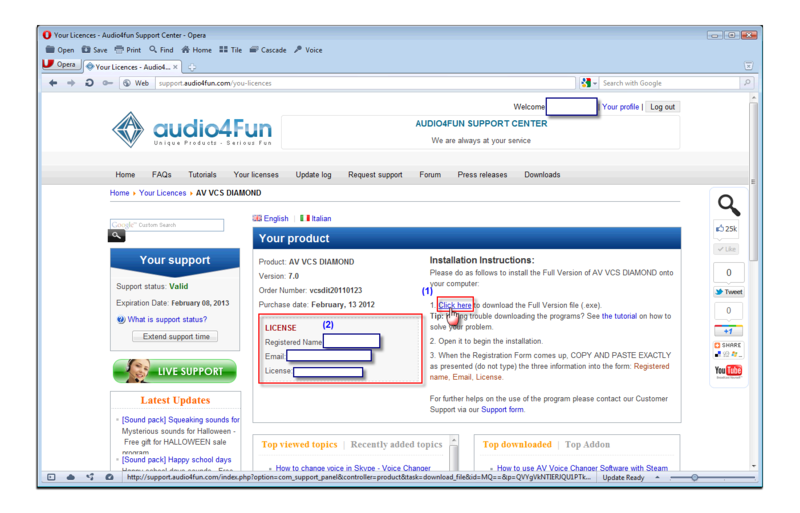 This is to ensure that customers, who purchased the program, will not get into any difficulties downloading their purchased software from the Audio4fun Support Center. - Support account is only valid within the fully support service. - Tick on the Remember me checkbox if you want the browser to automatically log into your account next times. - Click on Forgot your password? or Forgot your username? in case you are not sure about your account detail. - After successfully logging in, it automatically switches to Your License page in which all your purchased product(s) information is archived. 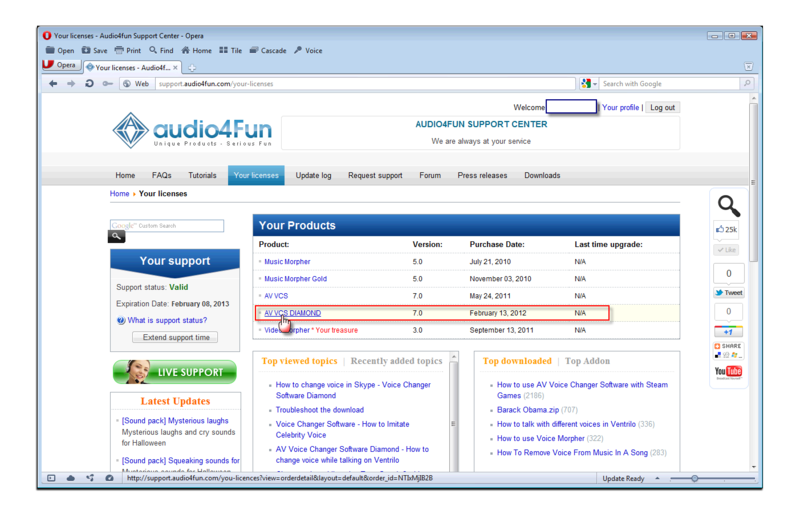 - Click on the software license you want to download among your purchased licenses. 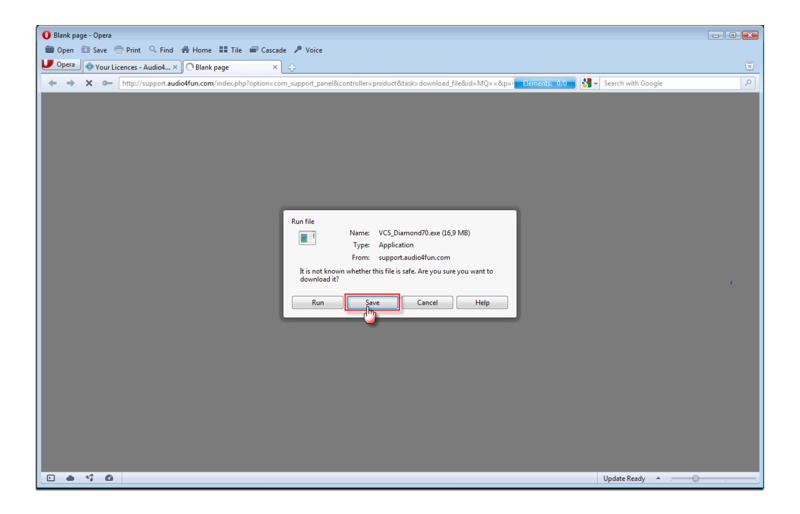 On the next page, you may see that the product download link is embed under the “Click here” hypertext (1). Just move your mouse over and click on it to start the download. In this page, you may also find your license information enlisted. The browser will then ask you to confirm what to do next with the download. Selecting option “Save” is highly recommended. In most cases the download should start immediately, and your program may be ready within a couple of minutes.